French author and aviator Antoine de Saint-Exupéry was taking off from the Guatemala City airport in February, 1938, on his way to South America. The airplane, accidentally overloaded with fuel, crashed about 10 miles from the airport; the plane was destroyed and Saint-Exupéry was seriously injured. He spent time in La Antigua recovering from his injuries. While those are facts, Saint-Exupéry’s stay in Guatemala has also generated legends. The boa constrictor digesting an elephant from The Little Prince. Some say that asteroid B612 in The Little Prince is based on La Antigua. 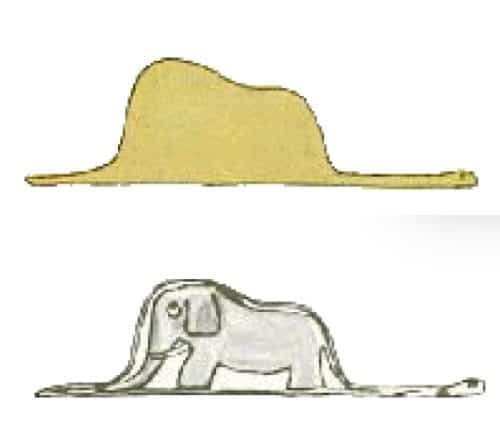 One legend continues that Saint-Exupéry came to Lake Atitlán where he saw Cerro de Oro: the “hill of gold” became the model for “the boa constrictor digesting an elephant” on the first page The Little Prince. The beloved book was written in 1942, while Saint-Exupéry was living on Long Island, New York. It was published in 1943, about a year before he disappeared while flying his plane for France during World War II. 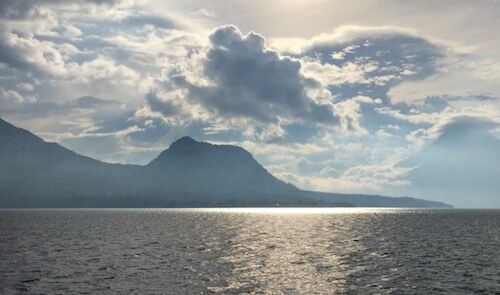 Few visitors to Lake Atitlán know of the legends surrounding Cerro de Oro. In fact, few residents know anything about the hill or the village that surrounds it. The village of Cerro de Oro takes its name from the “hill” which is actually a small, ancient volcano. This Tz’utujil village is part of the municipality of Santiago Atitlán. 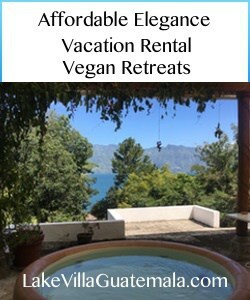 (Many people mistakenly believe that Panajachel is the largest town on Lake Atitlan: Santiago Atitlán is significantly larger). Lake Villa Guatemala is located about four km from the entrance to Cerro de Oro, and our employees are from the village. We take guests on hikes of Cerro de Oro, going with a local guide. On my first hike up Cerro de Oro, our guide recounted old legends about the hill. He said when the Spanish first came to Lake Atitlán, they looked for gold hidden by the Maya in the caves and tunnels under the hill where they became lost and never returned. Other legends say the tunnels run all the way to Tolimán volcano, and that the Tz’utujil people hid from the Spaniards in the tunnels. The hike up Cerro de Oro is short and steep. 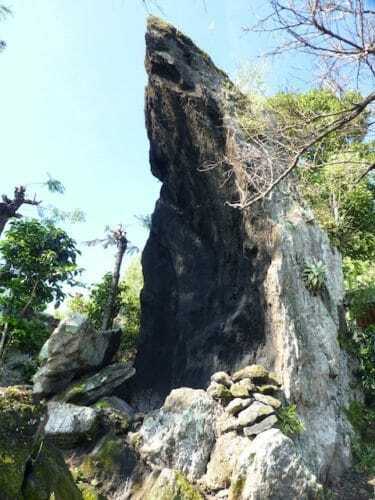 On the way up is a rock formation that still serves as a Mayan altar. Near the top is a mirador where you can rest and take in the view of the lake. On the other side of the hill, you’ll find rocks with hieroglyphics carved into them, though some have been fenced off to prevent visitors from coming too close. If you want to hike this hill of many legends, I highly recommend going with a local guide.